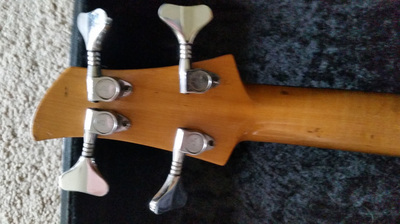 This bass came up for sale in December 2015 and sold for $999. 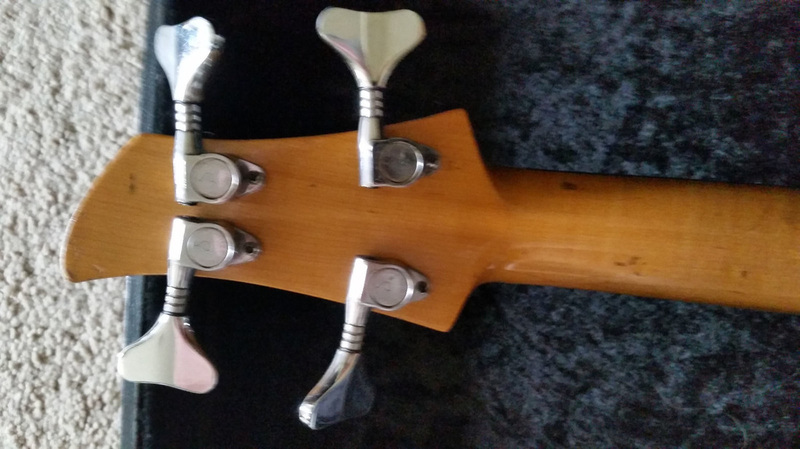 Like many Dan Armstrong's, the tuners and pickguard have been replaced. There is also the usual amount of flaking on the face of the pickup. 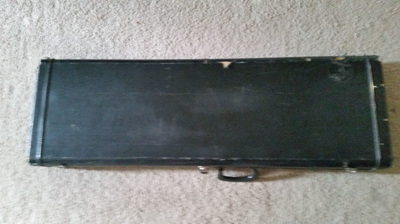 Comes with the original Dan Armstrong case. 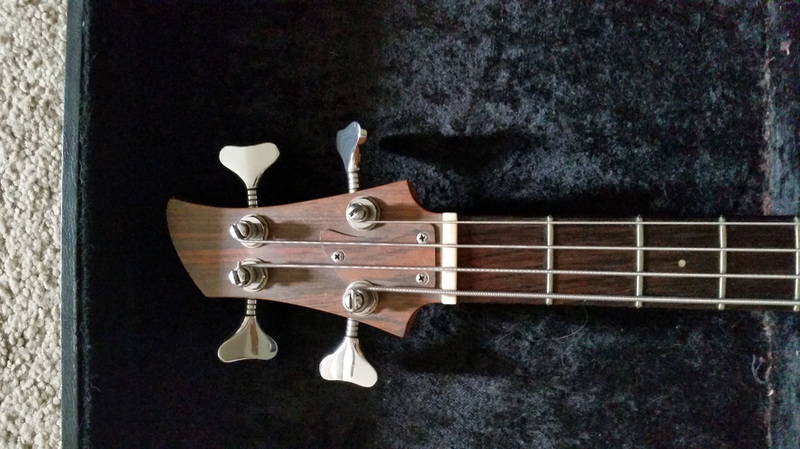 One interesting accessory is the Country Bass (CB) guitar pickup, which won't fit into the pickup channel without rounding off the corners. Since this pickup seems to have its corners intact, it looks like it was never actually used on the bass. See D736A for an example of fitting a guitar pickup into the bass cavity. Regarding the serial number, we had added D1320A to the Dan Armstrong database a few years ago, and the set of photos provided by the seller at that time included a clear pic of the D1320A serial number. 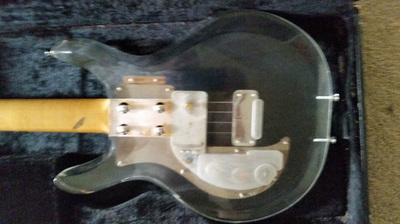 Since these don't seem to be the same instruments at all, it looks like there is some question about the last digit of the serial number on the current instrument. So for now we're just going to record the bass on this page as "D132xA" until we can get a look at the actual serial number. 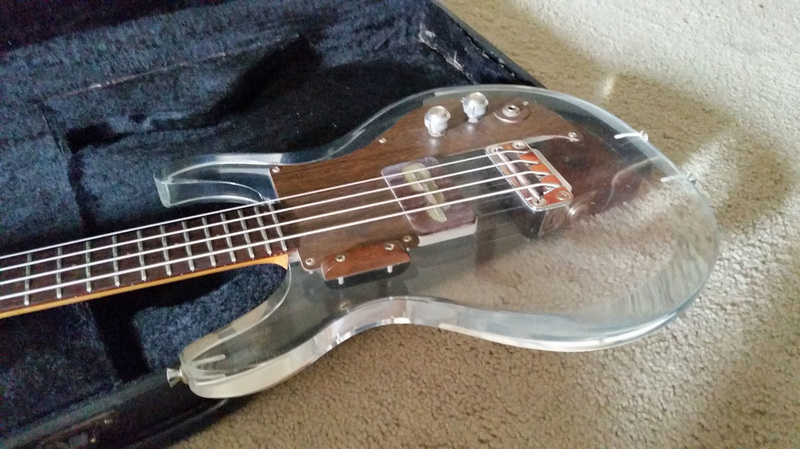 "Up for sale is a mega cool vintage Dan Armstrong lucite bass. Pretty darn good shape for its age but not perfect. 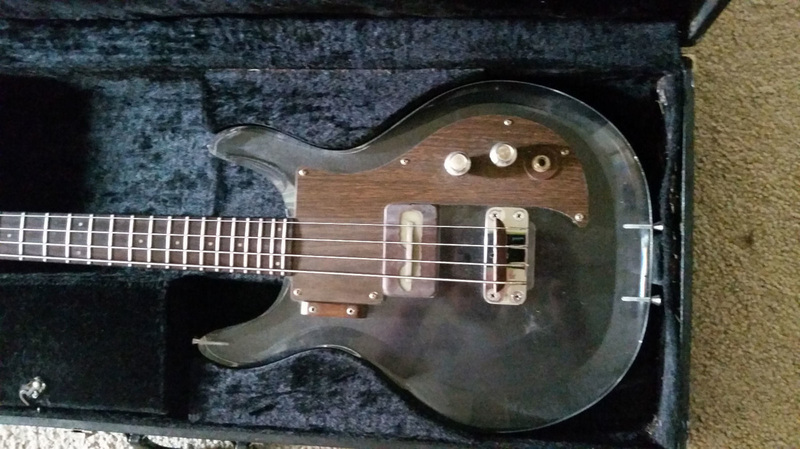 I don't know how original everything is also, someone told me the pickguard wasn't (but I'm not sure why it wouldn't be!). 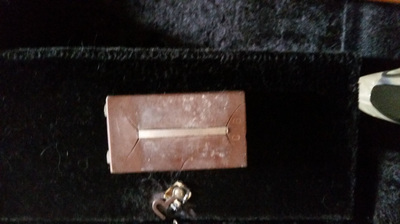 The pickup screw in the back is a little cross threaded. 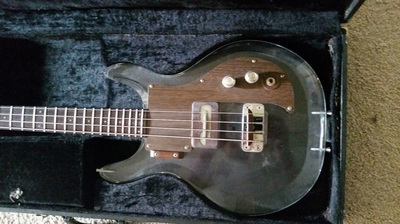 But it does have both pickups which is rare. Very cool collectible bass. Plays great with the short scale. Look at the pictures before bidding, based on I won't be able to answer all that many questions on it. 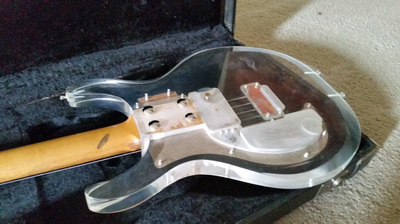 Comes with a fairly trashed hard shell case which might be original." 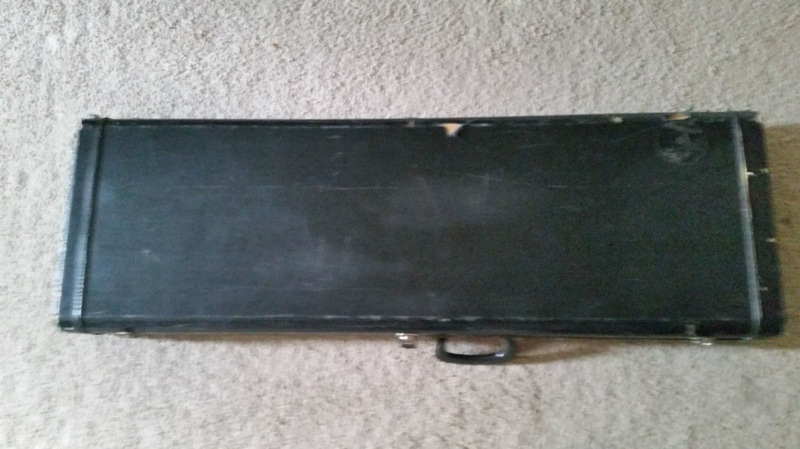 Q: "Hi, can you tell me what the serial number is so I can date it. Printed on side of neck heel where it bolts into the body." A: "D1320A (I'm about 99.99% sure on the 0 based on it's not hand stamped all that straight). Thanks for looking."